I know the kind of comment in the header above is of the "duh" variety when it comes to many western gamers, but I'm going to share it here it anyway. Also a comment of the "duh" variety: I've wanted to start learning Japanese since I was a teen. I've never done anything about that desire, though, because, well, the whole thing overwhelms me, to be completely honest. For starters, how should I go about learning to read and write this language? Should I take a course? Should I hire a tutor? Should I invest in something like Rosetta Stone? Should I pick up some books (such as the ones mentioned here)? Should I use a website (like this one)? Based on what I've been told and what I've read on line over the years, I'm guessing books and/or websites are the way to go, but I'm not at all sure about that. And even if they are the way to go, which books and websites should I utilize? Another question that's been bouncing around in my head for some time: once I finally make a decision as to which method I'm going to use to teach myself Japanese, which alphabet do I start with--kanji, katakana or hiragana? I know at least a few of you understand Japanese. If any of you would be willing to share (in the comments section below) your thoughts, recommendations and opinions on this subject, I'd greatly appreciate it! That's weird; a friend of mine was just asking me about learning Japanese last night! I first started learning by checking out a website called japaneselearning.com. I don't think it's been updated in quite some time though. After memorizing the Katakana and Hiragana charts there, and going through the lessons, I picked up a Japanese textbook. The book is called "Elementary Japanese" by Yoko Hasegawa, and published by Tuttle. I think you can find it for $30 or so. After that, I just met and spoke to a lot of Japanese people (because I lived in Yokohama for about 6 months). You'll learn pretty quickly there, as long as you have a solid foundation to build from. Also, a word of advice: When learning pronunciation, DO NOT use anime or games as a reference point. The voices in those are generally exaggerated and overacted, not unlike a Saturday morning cartoon here in America... So mimicking what you hear in an anime or game will make you sound (comparatively so) like Mickey Mouse. If you want to watch some Japanese shows that are live-action but still feature some sort of connection to your hobby, I'd recommend Gamecenter CX. You should use italki.com. You can get writing and speaking practice with it. I'm also learning Japanese and I own the Genki books. I mainly use it to learn grammar but it's also good for learning vocab. Start by learning hiragana. Challenge yourself to write out the whole syllabary from memory. If you can do that you'll be able to write well. 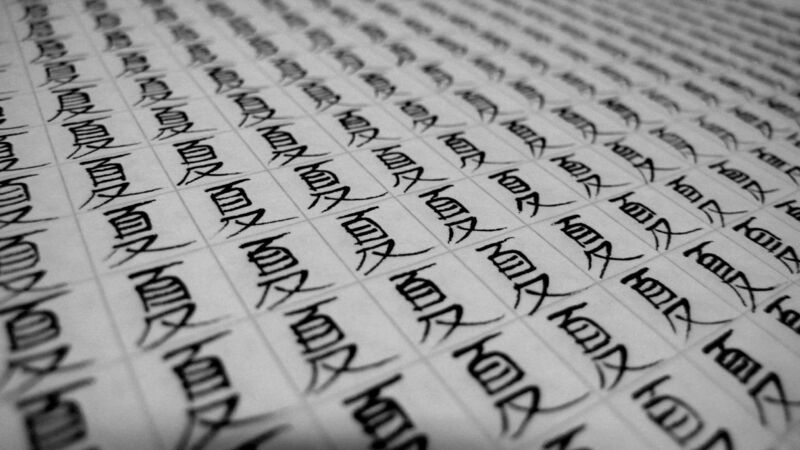 Do the same for katakana. 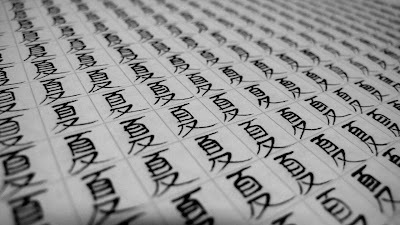 You will want to learn kanji, but learn words in hiragana first. Also make sure you know the stroke orders (you can find them at jisho.org). It makes learning kanji much easier. Thanks for the help, Espiga! So, it sounds like I should start by memorizing hiragana and katakana first? Also, I'll definitely check out the site and book you mentioned here. Sadly, I probably won't be able to surround myself with Japanese people, as I don't live in Japan. Although who knows--maybe I can meet some folk here in Seattle? Thank you, too, Shinobu! Again, it sounds like tackling hiragana and katakana first is your main piece of advice, which is good--as each of them have 46 symbols, right? Anyway, thank you for the advice/recommendations and also for sharing URLs for a few sites. I'll definitely check them out! i recommend a teacher. i took 3.5 years of japanese in high school. japanese is a weird language to people who speak english; it's just so different so i recommend learning it with help from another human being. also it's probably a lot more fun that way! the way i learned japanese in school was first Hiragana, then Katakana, and then Kanji. it's important to have lots of contact with the language so we got a lot of homework. I definately 100% recommend a class. someone who is natively japanese preferably. Hey, I've been following your blog for the past few weeks and am glad you have decided to consider seriously learning Japanese. I've always been interested in language acquisition and am an upper-intermediate Japanese reader myself. I'd advise you to take the next month and just get more familiar with Japanese. Don't push yourself to start learning grammar or vocab just yet. I would read about the language at Wikipedia, then read about Hiragana, Katakana, and Kanji. Learning how to write Japanese characters legibly is a very important skill in my opinion. If you get really serious about learning Japanese, writing things down is one of the best ways to consolidate knowledge as you review. Not to mention the fact that being able to look at a page of your own handwriting in a different language is tremendously satisfying. Taking the time to learn proper stroke order and such now will allow to focus on other things later on. Once you get confident with hiragana and katakana you should give us an update! I'll gladly link more resources for steps after that. Just know that starting out is one of the hardest parts of learning a language. I won't say it's the toughest, but it can be very intimidating to start climbing the mountain of language fluency. Sorry for the wall of text! And good luck! Thank you, too, Chris! Unfortunately, I'm not sure a class will be an option for me. I'll definitely consider it, though, and check out my options. Regardless, at least it sounds like I should start with hiragana, then katakana and then, finally, kanji. Hello, Caulder! Thanks for the comment--and, please, don't be sorry about the supposed wall of text. Honestly, that's what I'm looking for when it comes to this topic! As for your advice: it all sounds wonderful to me. In fact, I think I'll start following your suggested steps sometime this week. Also, I'll do my best to update folks as to how I'm doing, as that should help keep me on track, push me forward, etc. Once I'm made some good progress, I'll let you know. If you'd be willing to share more advice/resources after that, I'd greatly appreciate it. Oh, and BTW: yes, the main reason I want to learn Japanese is so I can play Japanese video games. There are other reasons, too, of course, but that's the main one. Anyway, thanks again for all of your help. I really, really appreciate it! Very cool!! Everyone has already given you a lot of great advice so I'll try not to add too much to it! The only real key I can give, which is probably a no-brainer, is keep practicing! I'd also recommend starting with hiragana and katakana first. When I first started learning I broke the alphabets down into like 5 character segments and wrote them many times and continued to add to them over time all the while continuing to practice the characters that I learned. I know one of your readers said not to watch anime, but I think it has its merits. Depending on the anime you watch, some characters may pronounce things weird (like if it's a talking cat or like a little kid or something lol) but I think overall I'd liken it more to like how people talk in a movie or TV show (I.e. generally really clearly) as opposed to someone on the street who might speak more quickly and naturally. (Just like here in the US listening to a newscaster vs. Joe Shmoe on the street lol) But when I started learning Japanese, anime was a way that taught me a lot about pronunciation and Japanese culture! However, of course you're not going to learn the language solely from it but it can be a fun supplementary activity. Yeah, definitely start by memorizing the two easier writing systems first. If it's not too much of an issue, try to pick up on a few of the easier Kanji as well. A method I used while learning to write was to buy a notebook and fill a page (front and back) with a single character, saying the name of the character each time I wrote it. Ah, thanks for this info, too, Espiga. I really like the idea, so I'll be sure to pick up a notebook in the next few days (if I don't have one already). Thanks, too, for your comment about anime. I'm actually not a huge anime fan, but maybe I'll check out a few series after I've made some headway. Did you fully teach yourself the language, by the way, or did you start off in school or with a tutor? Just curious. Oh, and, finally: I'll definitely ask you about the grammar workbook once I've tackled hiragana and katakana. I'm guessing you would suggest holding off on such things until I've got those alphabets down pat? Hm. All I'll say is; I started with Katakana first. That's because it allowed me to read words I recognised. Whereas hiragana involves reading words which are also new. I dunno'. Also I love kanji where everybody else in the universe seems to hate it. People also say Japanese is a very complicated language even though I find it easier than what French and Spanish I was learning. Hrm. Anyway go nuts! A few folks on twitter have suggested starting with katakana and then moving to hiragana is the way to go, so that's probably the path I'll take. You know how there's a game pile of shame? I think I have a similar thing when it comes to learning Japanese LOL! I hear you, Igor. I've been telling myself, "I'm going to start learning Japanese soon," for ages. Ugh! Let's hope I actually do something about it now--and maybe you, too? You've already gotten a lot of suggestions, so I don't really have too much to add, but I'm surprised that you've gotten so many comments about starting with katakana over hiragana! I've been taking Japanese in various school settings, and the various teachers I've met/studied with all start with hiragana in their curriculums. Hiragana is really the most fundamental Japanese written script (you could write everything in hiragana if you wanted/had to), so that's probably why. One thing to consider when you're planning your method of "attack" – if you're learning Japanese purely to play video games, your methods for study will be different from someone who's looking to, say, live in Japan and talk to people in Japanese. Well, looks like I went and gave you some advice, anyway ^^;; Good luck! I think you've got a great support group here on your blog, but remember that I'm always available to help in any way I can. Hey there, Anne! Thanks for adding your two cents. I really appreciate it :) Also, I'm quite sure I'll pick your brain privately (that sounds weird) in the coming weeks and months and years, if that's OK with you. I promise not to bug you too much, though. Anyway, yes, my main reason for wanting to learn the language is so I can play games, I have to admit. That said, I do have an interest in the language and culture outside of gaming, so I'd also say that at some point I'd like go beyond learning just enough to "get by" while playing Japanese games and also learn how to properly speak the language, etc. Do you think that I'll be screwing things up if I start on my own and just try to learn how to read/understand the written language, or do you think I'll be OK (or at least not screw myself up too much)? Also, it sounds like you'd suggest that I learn hiragana first, eh? Really, it doesn't matter to me. Both alphabets are about the same size, right? And I'm going to have to memorize both of them? The only reason I'm considering the opposite is that someone on twitter suggested that learning katakana after hiragana can be confusing. Not gonna lie, I want to play Ni No Kuni when I become proficient enough in Japanese. I don't have a PS3 and don't plan on getting one, so I'll just get the DS version (yay no region locking!) in the future. 1) for playing games, including old Famicom and PCE games, it's more common than katakana. Instead of kanji, a lot of those games use hiragana. 2) if you learn hiragana before studying Japanese words, then when you first see a word -- for example, the word "utsukushii" -- then you can immediately practice transcribing it into kana. As opposed to subconsciously getting used to seeing everything in Roman alphabet. Learning Japanese via romanized words is bad if you ever plan on reading or writing. 3) hiragana is curvier and sexier than katakana. I used the book "Easy Hiragana" (there's also an "Easy Katakana" and "Easy Japanese") although anything will do, given enough repetition. Also, rest assured I am now planning to learn hiragana first. I never knew that most old games use hiragana, by the way. Sounds especially great for me, as you know how much I love my old Fami and PCE games! Thanks, too, BTW, for suggesting 'Easy Hiragana.' I think I'm going to start with one of the many websites that have been recommended to me, but if they don't work for whatever reason I'll definitely check out this book (and probably the others you suggested, too). It costs a little bit (not counting the cost of an iPhone), but it works as advertised :). Also for some strange reason (at least in hiragana app; I don't have katakana app) does not cover conversions such as k->g, t->d and h->p etc. but they are relatively easy to memorize anyway. As for Kanji. I would go for systems like supermemo. If you don't know it, these are learning systems that calculate intervals between flashcards repeats based on how easy is the particular flashcard to learn. In short: you don't lose time on repeating stuff you have already learned. Supermemo has free iPhone app and free kanji course (though you have to sign-up through their website to download it) covering 1200 characters, but there are probably other applications and sets of flashcards available on internet. As for hiragana vs. katakana: I personally would go with katakana. It gives you instant gratification as you can immediately understand what is written without actually learning Japanese :) How cool is that! Sadly, I won't be able to make use of your initial advice, as I don't have an iPhone. Still, I appreciate you trying to help. I think I'm going to try to learn hiragana first, but if I stumble horribly I'll switch over to katakana, I think.